My little guy is all about making crafts or doing experiments. 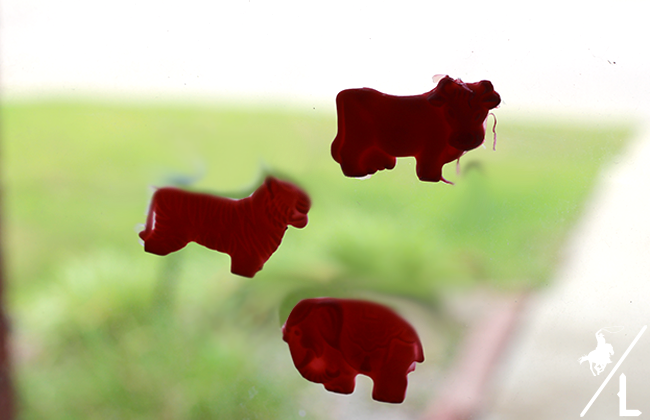 We recently created these fun DIY window clings that use only 3 simple ingredients. 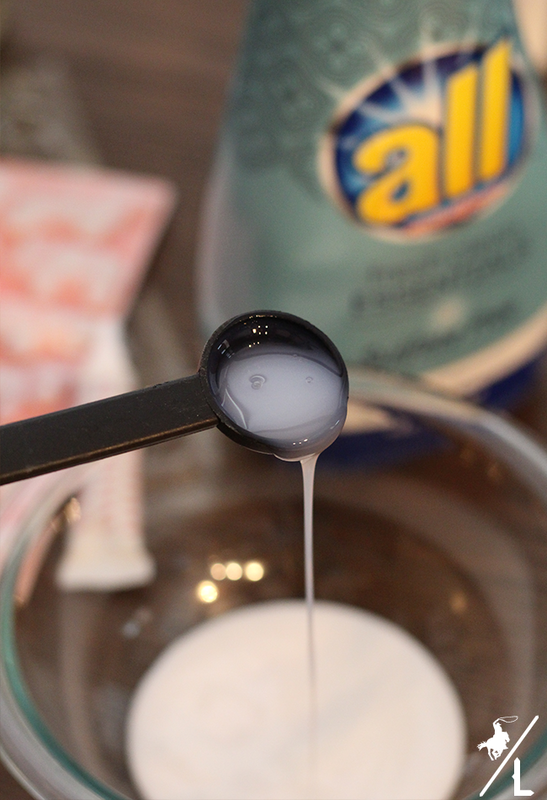 Pour 1/2 cup of glue into the bowl. Add the teaspoon of detergent. Add the 3 drops of food coloring. 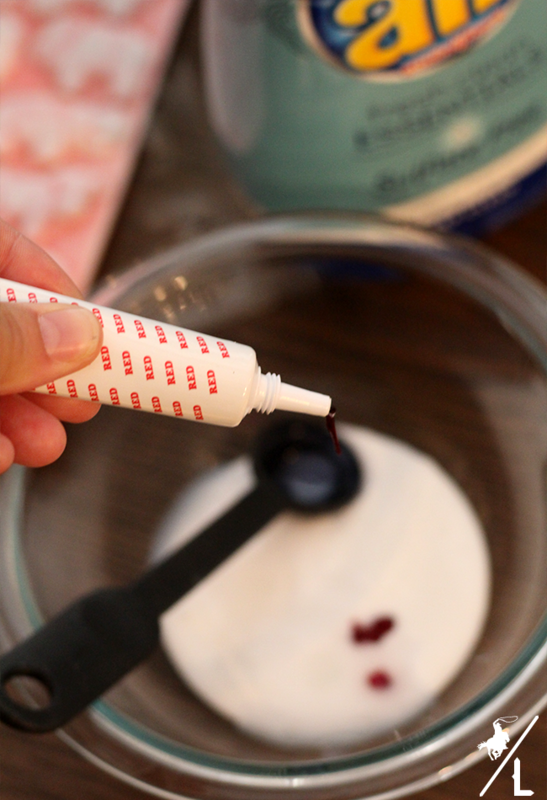 Using the spoon, add the mixture to the candy molds. Let molds dry overnight before taking out and placing on windows. 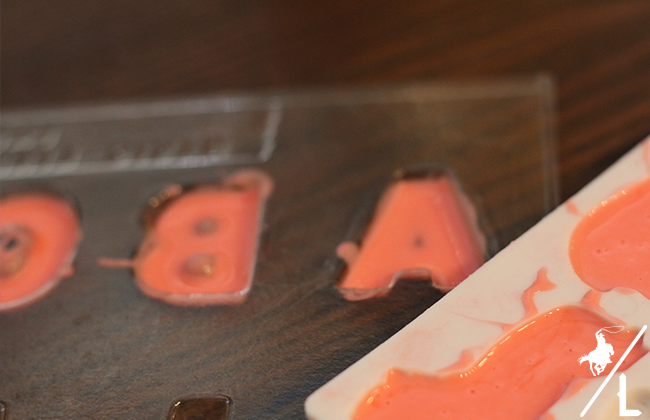 *Using a thin layer of mixture in the mold will dry faster than a thick layer. 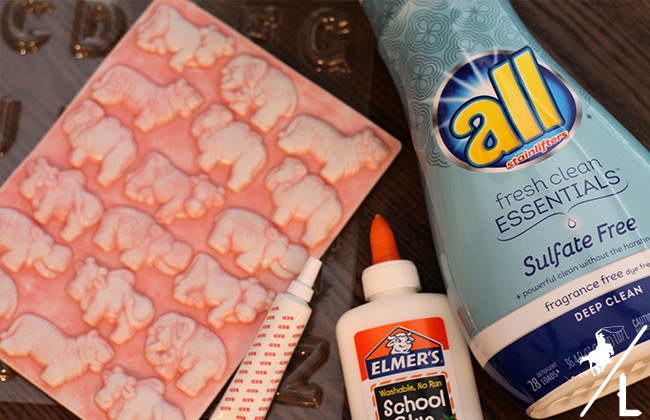 This is a great summer craft for the kiddos – especially on rainy days! Of course making crafts little ones means that there will be cleanup needed. Especially on the clothes. I prefer cleaning his dirty, sticky clothes with all® fresh clean ESSENTIALS®. The sulfate free all® uses no harsh chemicals while giving clothes a deep cleaning and gets out the toughest stains. 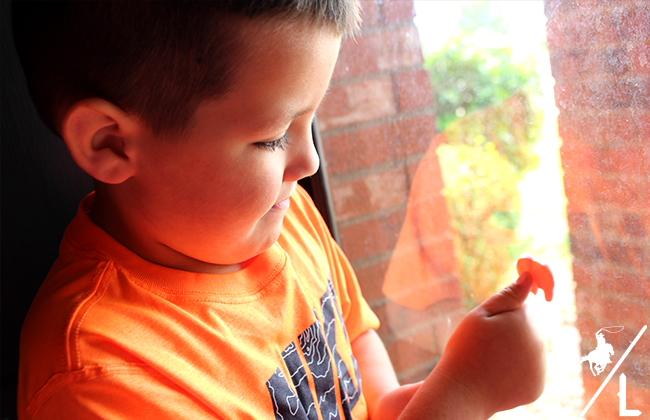 Not only do you know what your window cleans are made up of, but what also into your laundry! 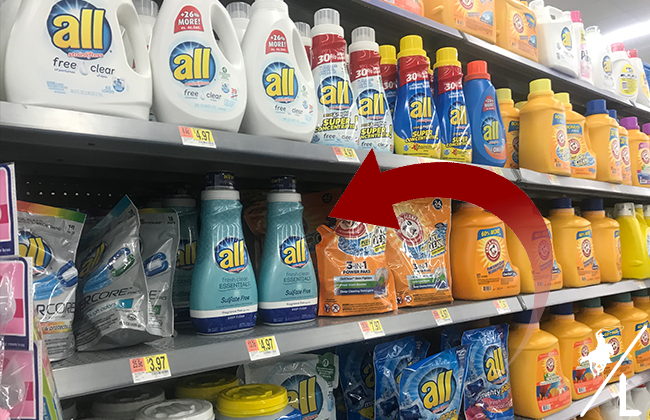 They put the ingredients on the back of the bottle and is is one of the first laundry detergents to put ingredients out there for consumers. NEW sulfate free all® fresh clean ESSENTIALS® delivers a powerful clean without harshness. You can find it on the top shelf in the laundry aisle at your local Walmart. It comes on fragrance free and fresh scent. Be sure to use this digital coupon for $1.50 off one (1) all® fresh clean ESSENTIALS® from May 1 – July 31 or while supplies last.